If it’s one thing we can’t get enough of here in Singapore, it’s bubble tea. 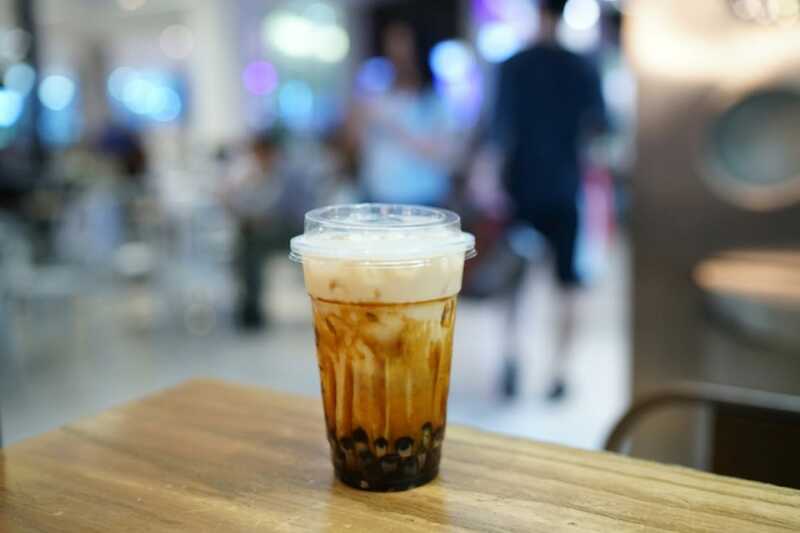 Said to have been invented in Tainan and Taichung in the 1980s, bubble tea is a dessert drink originally made with Taiwanese black tea, milk, sugar syrup, topped with chewy tapioca pearls and consumed hot. These days though, bubble tea is more commonly served cold with a wide range of flavours. In recent years, new varieties of bubble tea have taken the world by storm. 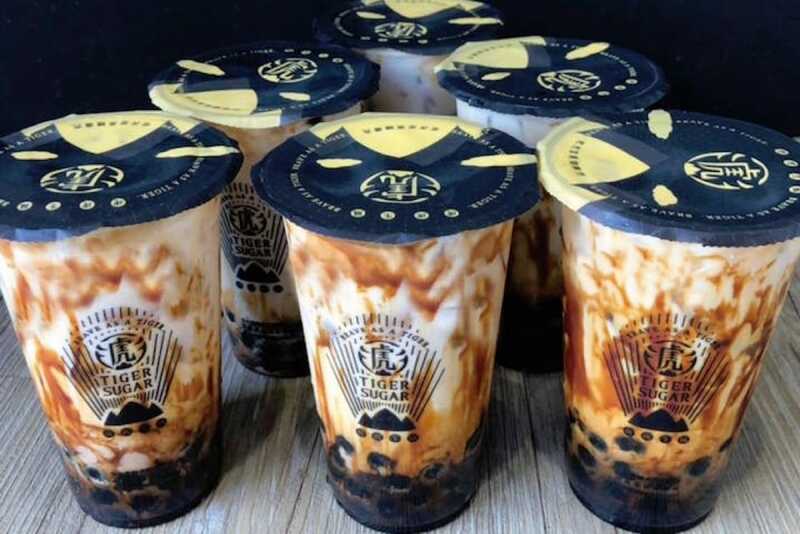 Last year, cheese tea — cold tea topped with whipped cream cheese — became a global phenomenon, while this year’s craze is centred around brown sugar pearl milk, a blend of fresh cold milk, brown sugar caramel and tapioca pearls. Here’s what you need to know about this syrupy treat. In late 2017, Tiger Sugar first opened in Taichung, Taiwan, hawking its signature brown sugar pearl milk drink created to evoke the nostalgic flavours of traditional Taiwanese desserts. The indulgent drink and its delicious-looking tiger stripes of caramel streaking the insides of its cup soon began to draw queues up to three hours long. Since then, Tiger Sugar has been expanding aggressively. It now has six stores in Taiwan, three in Hong Kong and two in Singapore with a third set to open in the Orchard area soon. This is a bubble tea variant that has no tea in it, just fresh milk, brown sugar syrup and tapioca pearls. The tapioca pearls are cooked on low heat in brown sugar syrup so they absorb all that smoky, caramelly flavour, and these are then topped off with cold fresh milk. 3. You need to Instagram your beverage quickly. Part of the drink’s appeal is the attractive stripes of caramel streaking the insides of the cup as the syrup mixes with the creamy milk. It makes for a pretty picture, but you’ll need to Instagram your cuppa quickly — if left on its own, the stripes will fully dissolve within a couple of minutes. 4. 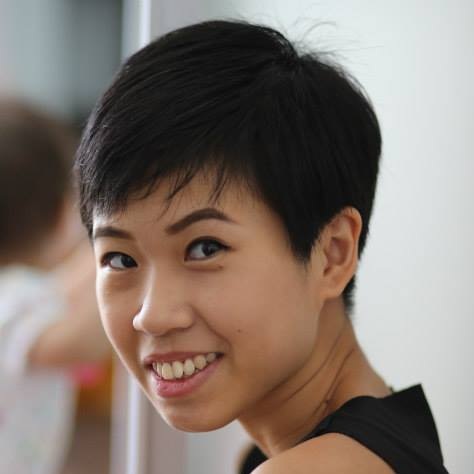 There are over a dozen brands of bubble tea stores in Singapore with their own version of it. Most bubble tea brands in Singapore have put their own versions of brown sugar pearl milk on their menus. With 90 outlets across the island, local brand LiHO TEA offers the beverage in options like salted egg custard as well as avocado, while Chinese brand MuYoo serves its brown sugar pearl milk with cold fresh milk poured over just melted brown sugar and warm pearls so you can enjoy the contrasting temperatures. 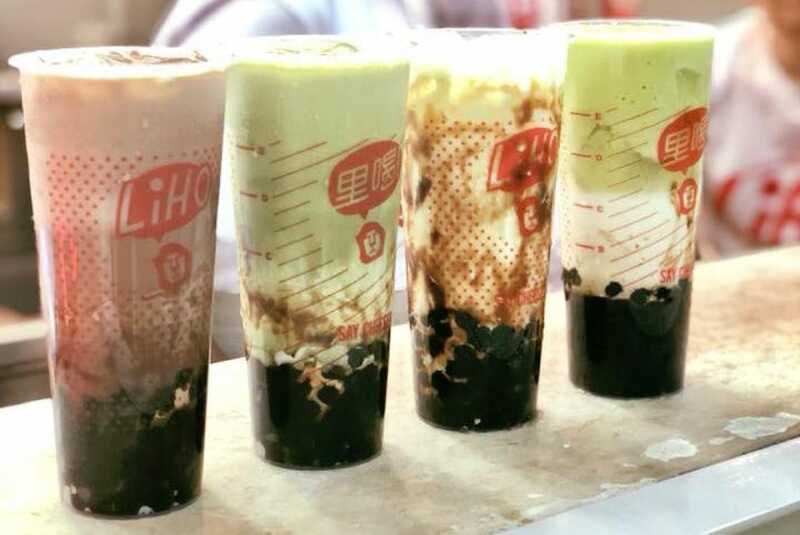 Chinese chain R&B Tea also has a popular take on the drink with some of its outlets offering a topping of cheese foam that is blowtorched upon order. 5. People can't get enough of this sweet treat. 6. You can make it easily at home with this recipe. 1. Cook the store-bought tapioca pearls according to packet instructions. Run cold water over the cooked pearls and set aside. 2. Place the brown sugar and water together in a pot and cover, then bring to a rolling boil. 3. Open the lid and stir till sugar dissolves completely. 4. While the syrup is still boiling, pour the cooled tapioca pearls in. Cook over medium heat, stirring constantly with a spatula to prevent the pearls from sticking. 5. Reduce the mixture to a sticky, syrupy consistency. It should coat the spatula. The brown sugar pearls can now be used, hot or cooled down. 6. Spoon as much as you like into a glass, then turn the cup on its side and roll it around so the syrup coats the inside walls of the cup. Top up the glass with cold fresh milk and enjoy. Jelly is often dismissed as junk food, but there are some guilt-free variations of the bouncy dessert.